You have accounts@yourdomain.com group which you're a member of and you want to be able to reply to emails as accounts@yourdomain.com. Then you set up Send As permissions so you can reply to your customers as that group and not from your myName@yourdomain.com address. Once you’re logged in with your account, go to the settings option. (Click on the setting icon appearing on the top right side of the page). 2. Go to Accounts section below settings. 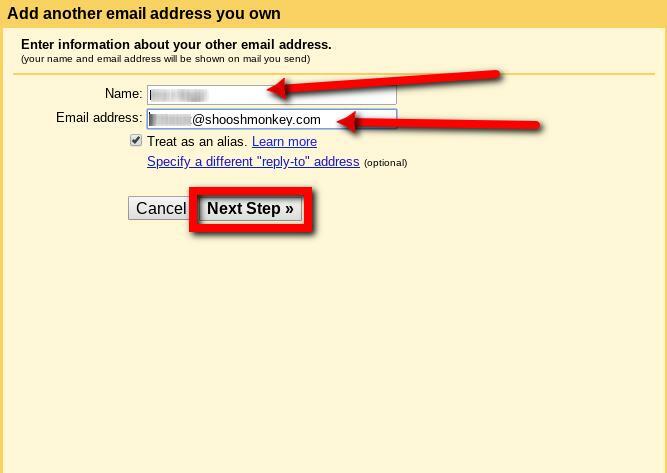 In the ‘Send mail as’ column click on the"Add another email address" option for the domain you wish to change. 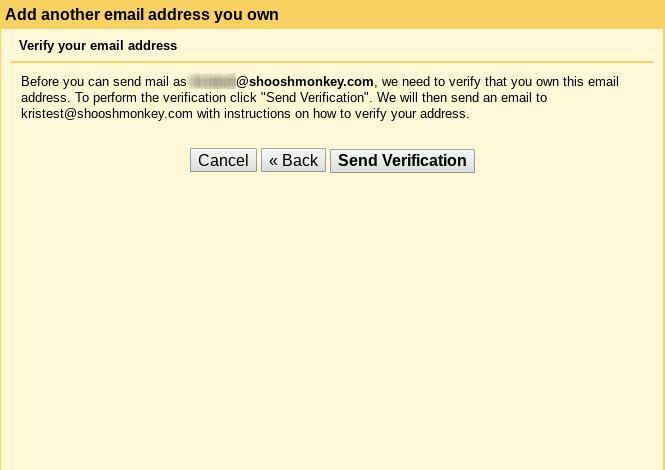 NOTE: If Shoosh Monkey are setting up a secondary email address to flow into your existing Gmail inbox then you will recieve the verification email to this mailbox. 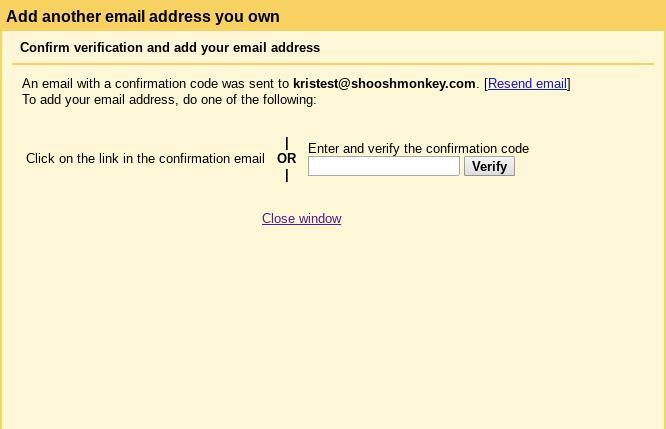 If you clicked the link in the email you can close the above screen. You can always go back into your settings page and enter the code if the link doesn't work.